Let's talk about Coconut Milk. Coconut milk is ideal for using in your coffee, tea, smoothies, cooking, & even in your bath! The fats in it are great for the health of your brain & your skin. Here’s all you need to know about Three By One Organic Coconut Milk. Fresh coconut meat from mature kernels is steeped in purified water & strained through layers of cheesecloth to extract the milk. Our milk is not a brilliant white colour. Some cans may even have a slight brown-ish tinge which comes from the coconut shell, but this just goes to prove our product is 100% natural & has not been subjected to any chemical processes. If coconut milk looks pure white, it may have been processed with bleaching additives…. We do not use any preservatives in our canned coconut milk. Instead we flash pasteurise the milk. We also do not have any additives. Majority of canned coconut milks on the market contain both preservatives & thickeners. Because coconut milk contains the actual meat of the coconut, it contains the natural healthy fats that are great for your brain, skin & metabolism. Our coconut milk is naturally rich in saturated fats, mainly short & medium chain fatty acids. MCT’s (Lauric Acid) are usually not stored by the body as fat, but are instead metabolised to provide instant energy. Lauric acid is believed to boost the immune system & has been shown to promote brain development & bone health. The richest natural source of Lauric acid is mother’s milk. The next richest source is coconuts. Lauric acid has been found to have microbial properties, so it can help protect against bacterial infection. Studies show it may also help in maintaining the elasticity of the blood vessels & in keeping them clean, which in turn could lower the risk for conditions like atherosclerosis & heart disease. Coconut trees grow in rich volcanic soil which contributes to the high mineral content of a coconut. About 22% of the recommended daily allowance of iron (for women, it is lower for men) can be absorbed from a single serving of coconut milk. With such a high levels of iron, consuming coconut milk regularly could naturally decrease iron deficiency disorders. Apart from the beneficial MCT’s & the mineral content, coconut milk also contains several antioxidant compounds which can provide protection against harmful free radicals & their damaging effects on the body cells & tissues. Coconut milk can promote a healthy gut by relieving gastric symptoms, stomach ulcers, & even acid reflux. And if all those benefits aren’t enough, coconut milk can even help to relax nerves & muscles, control blood sugar level, lower blood pressure & reduce joint inflammation. So. How to use Three By One Organic Coconut Milk? Coconut milk can be used in the same way as any other dairy or non-dairy milk. The creamy texture & slightly sweet flavour lends itself well to all kinds of delicious applications. DRINK IT. Use it in coffee, tea, matcha and smoothies. OVERNIGHT OATS & PORRIDGE. The rich feel and light flavour of our coconut milk is ideal for making overnight oats & porridge, making a deliciously creamy breakfast. ADD TO SOUP. Coconut milk is thicker and more cohesive than other kinds of non-dairy milk. It’s perfect for adding as a finishing touch to any soup. MAKE A DRESSING. Coconut milk is an ideal base for making a rich, creamy, but dairy-free salad dressing. CREAMY CURRY. Many traditional cuisines around the world use coconut milk for cooking. Many curries call for coconut milk as the base. GRANOLA GOODNESS. Pour it over your favourite granola. Or any other breakfast cereal for that matter! You can dilute it with a little more water if it is too thick straight from the can. BAKE WITH IT. Any recipe that calls for milk, simply replace with coconut milk. CREAMY ICE CREAM. Freeze & whip. Vegan desert deliciousness! BATHE IN IT. Add it to your bath for a skin nourishing relaxing treat. Rinse your hair with it for a moisturising condition. Produced sustainable & ethically with small scale producers in Sri Lanka. So what is oil pulling? And how exactly do you do it? Does it really whiten teeth, improve oral health, and benefit the whole body? Or is it just a bunch of hippie-dippy hype? Oil pulling involves swishing a tablespoon or so of oil (usually coconut or sesame oil) around in your mouth for 10-20 minutes. Coconut and sesame oil are the two most popular oils to use for oil pulling. We, of course, prefer coconut oil. Not only for the great taste, but also because it is naturally anti-inflammatory, antibacterial, and antimicrobial. It should be done first thing in the morning before eating breakfast or brushing your teeth. Ideally for 10-20 minutes. But I suggest you build up to this. Start with 2 to 3 minutes to get used to it, and gradually increase the length of time until you can manage 20 minutes. I like to pop it in and jump in the shower while swishing. After you're done, spit it out! Never swallow the oil! It’s now filled with all of that yucky bacteria! It's best to spit the oil into a tissue & putting in the bin. Please don't spit oil down the sink as it can clog drains. Straight after pulling, brush your teeth as normal. How often to oil pull? Daily if possible! Or 3-4 times a week if that is all you can manage. Our mouths are home to billions of bacteria, as well as viruses, fungi, and toxins. These micro-organisms can cause gum disease, chronic low-grade infections, cavities, and tooth decay. Since these micro-organisms are usually single-celled and surrounded in a fatty membrane, they naturally adhere to the oil as you swish it around your mouth. So when you’ve done your oil pulling, spit the oil out & they’re expelled along with the oil. Chronic inflammation: Chronic but small-scale oral infections can cause chronic inflammation in the body. Chronic inflammation increases the risk of almost all diseases, from heart disease to autoimmune conditions, arthritis, and diabetes. Heart disease: The bacteria from gum inflammation and periodontal disease can enter your bloodstream and travel to the arteries in the heart and cause hardening of the arteries. This increases the risk of a heart attack or stroke. The inner lining of the heart can also become infected and inflamed. Alzheimer’s: It’s thought that certain types of oral bacteria that enter the brain may increase the risk of developing Alzheimer’s disease. Diabetic complications: Inflammation of the gum tissue and periodontal disease can make it harder to control blood sugar and make diabetes symptoms worse. So does oil pulling work? There are quite a few studies that have been done on the effectiveness of oil pulling on oral health. There are published studies that have found oil pulling to be as effective as chlorhexidine (a common germicidal often used in mouthwash) in the treatment of bad breath. Another found that after 45 days of oil pulling, subjects showed a statistically significant reduction in gingivitis. Others found that oil pulling reduces plaque and bacteria in those with gingivitis, that it reduces streptococcus bacteria in the mouth, and helps reduce the risk of dental cavities. No studies have yet been published on the effects of oil pulling on overall health and wellness, but we can assume those benefits given the intimate connection between oral health and the ailments discussed above. Tried oil pulling but struggling? Try adding a drop of your favourite essential oil to the coconut oil. Mint is the obvious choice, or you could try cinnamon, clove, or myrrh, all have oral health benefits. Just make sure your essential oils can be ingested & dose accordingly. If you could only live off of one ingredient, coconut would make for a pretty good choice. The superfruit is packed with natural fats and nutrients that deeply nourish you from the inside out. But maybe you are new to experimenting with this food-grade oil as a beauty product? Can you really slather it on your toast in the morning AND the tips of your hair? For you newbies out there, here are 5 fun ways to embrace this tropical wonder oil. Mix it into your smoothies. Add a tablespoon to your go-to smoothie recipes — it’s especially great alongside slightly bitter greens like spinach and kale. Thanks to its high concentration of antibacterial, anti-viral lauric acid, it helps support your immune system while giving your smoothie a silky soft texture. One of the amazing things about coconut oil it how it can change states, changing from a liquid to a creamy salve, depending on the temperature at which you store it. If you live in a cool climate (hello Northern Europe!) or if you put it in the fridge, coconut oil hardens into a butter-like consistency, which makes it ideal for spreading on everything from toast to bagels. Blend it into your coffee. Brew your favourite coffee and while it’s still hot, put in the blender along with a tablespoon of coconut oil. Blend well and you’ll end up with a delicious frothy concoction that will give you a long-lasting energy boost. Turn regular popcorn into a gourmet experience — just pour a tiny bit of melted coconut oil into a just-popped bag, shake it up and voila: movie popcorn like you’ve never tasted it before. Let it cool down your skin. After a long day at the beach or an intense workout, store your coconut oil in the fridge and scoop out a little bit to spread over your limbs. You’ll instantly rehydrate your skin and bring down your body temperature. Plus, the subtle scent doubles as perfume. What's so great about coconuts? Just a few years ago, coconut milk and desiccated coconut were the only products we’d see on supermarket shelves. But now you can find it all: coconut oil, coconut water, coconut cream, coconut flour, coconut chips, coconut sugar, and even coconut yoghurt. So what has made coconut so popular? And a great choice for healthy diets and lifestyles? Here's four reasons. Coconut products make an easy, delicious and healthy alternative to dairy. Coconut milk and cream replace traditional dairy and coconut oil or butter is a suitable replacement for butter. Allergies or intolerances to dairy seem to be on the rise. Lactose intolerance is a well known reaction to the natural sugar found in dairy and causes digestive problems. What we also start to see now are reactions to proteins in dairy, such as casein. A true allergic reaction will tend to show immediately with symptoms such as wheezing, chest tightness, nausea or a rash. An intolerance, however, may cause more vague or long-lasting symptoms such as skin problems or sinus congestion. If you have these types of symptoms, it may be worth cutting out dairy for one to two months to see if things improve. Some people avoid dairy foods because they contain substances that may have detrimental effects on our health. These include hormones and ‘growth factors’ that promote growth in young animals. Non-organic dairy products can contain traces of antibiotics too. Dairy foods also contain nutrients and protective substances, so experts are divided on whether dairy has overall beneficial or negative effects on our health. But for those who prefer to avoid it, coconut products are a great alternative. Coconut is high in fat, but part of this is in the form of medium-chain fatty acids (MCFAs). MCFAs are absorbed and used in a different way in our bodies to the longer-chain fatty acids that make up the majority of animal fats (including dairy). Longer-chain fatty acids circulate around the body and can easily be stored in body tissues but MCFAs travel to the liver first, where they are directly converted into energy. This means MCFAs may even help with weight loss, as well as boosting energy. 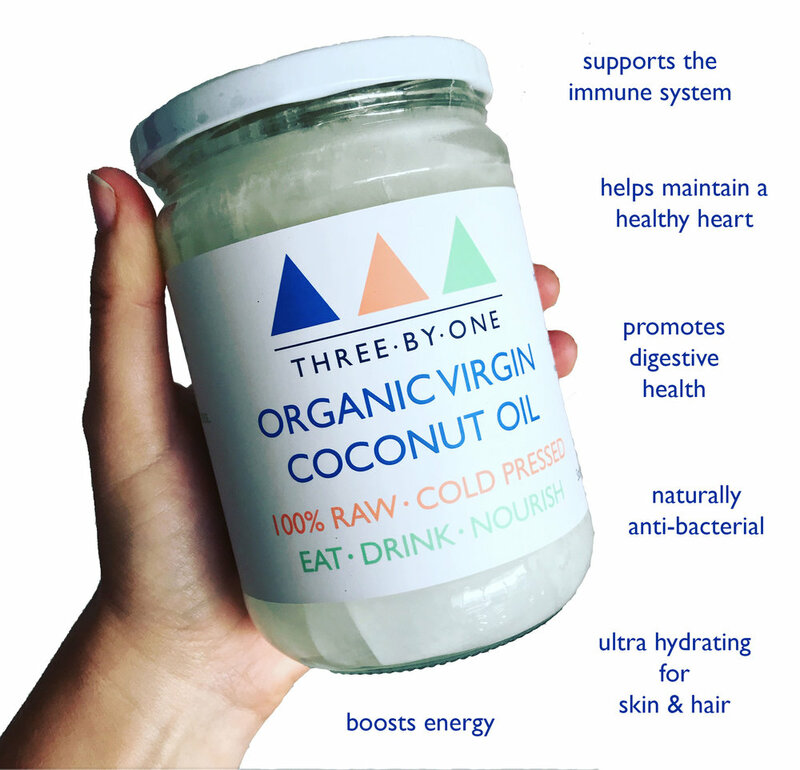 This energising effect is the main reason coconut oil has proved popular with sportspeople for helping with energy and performance. MCFAs can have anti-bacterial and anti-fungal effects too, meaning they may help to improve gut health and help protect against infection. Another great thing about coconut products is that they fit well into most healthy diets, including vegetarian and vegan diets, but also gluten-free, grain-free, Paleo, low-carb, and for those who choose to eat real foods and avoid processed foods. Coconut flesh, flakes, chips, desiccated coconut or coconut flour are all really high in fibre and very low in natural sugars. This makes them great for filling you up. Because coconut digests slowly, it also slows down the digestion of carbohydrates and helps balance blood sugar, keeping your energy levels consistent and helping prevent cravings for sweets or carbs. Another reason why coconut may be helpful for managing weight.